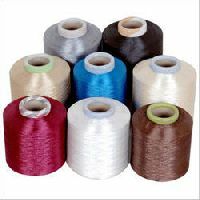 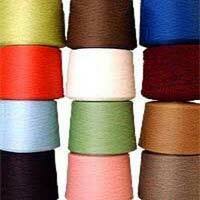 Available with us is the fine quality Polyester Dyed Yarn that is made by using quality polyester material. 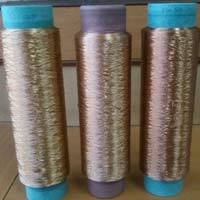 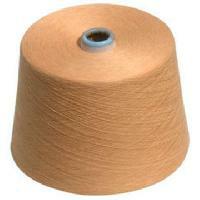 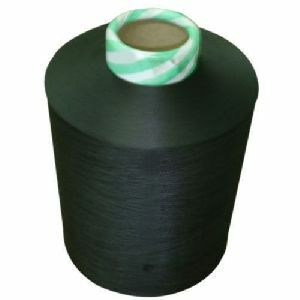 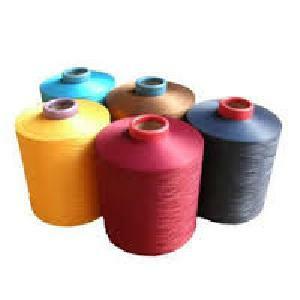 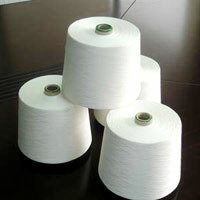 The Polyester Dyed Yarn, we offer, is demanded widely by the clients for its finest quality. 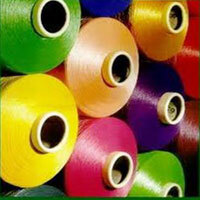 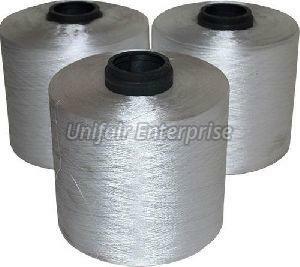 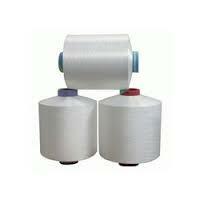 The clients can avail the Polyester Dyed Yarn from us in varied specifications at affordable price. 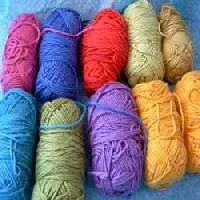 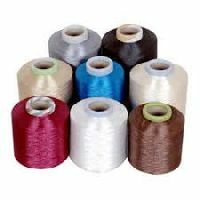 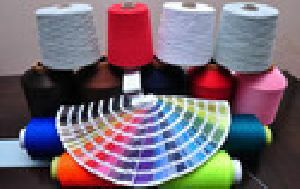 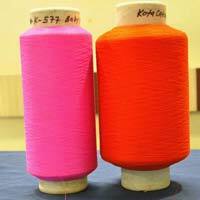 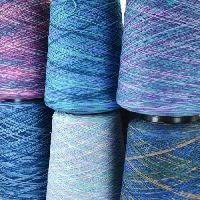 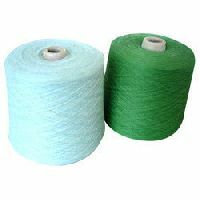 Interested buyers can get Polyester & Blended Dyed Yarns from us at competitive prices, as we are its Manufacturers, Exporters and Suppliers in Tiruppur, Tamil Nadu, India. 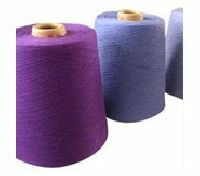 Our Polyester & Blended Dyed Yarns are sturdy and used extensively for weaving, knitting, covering yarns, making fashion accessories etc. 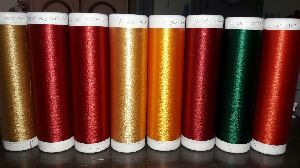 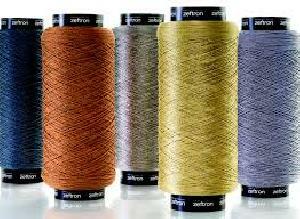 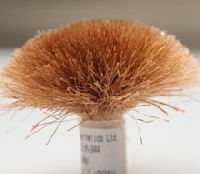 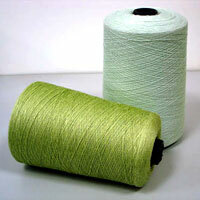 Available in a variety of colors, our Polyester & Blended Dyed Yarns are excellent. 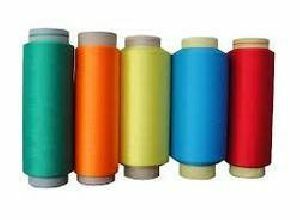 Versatile sequestering agent bind the impurities, prevent redeposition polymeric compound with protective colloid property improves fastness & gives brilliancy on white goods. 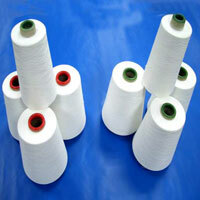 We supply 100% Polyester spun yarn, In raw white & dyed, count ranging between 18 to 50, Single & Double. 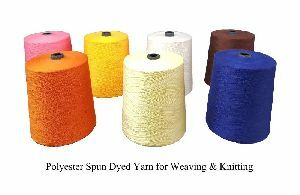 Suitable for knitting as well as for weaving. 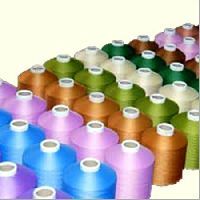 In order to keep the quality of the products up to the mark, we check the entire range against varied quality parameters. 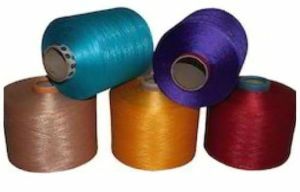 By making use of quality inputs, we carry out the production process in order to conduct subsequent transformation or modification, finally offering a finished good to the customer. 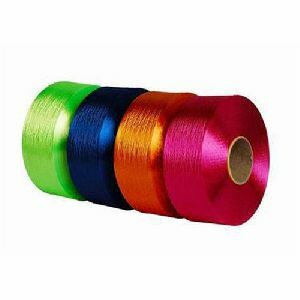 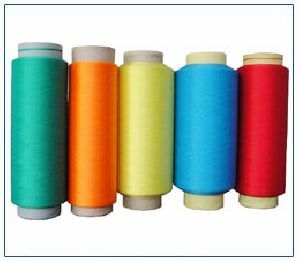 We offer bright polyester dyed yarn for woven labels, laces, ribbons, elastics, tapes, braidings, furnishings, stitching, embroidery etc. We offer polyester dyed yarn. 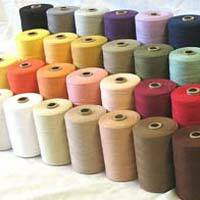 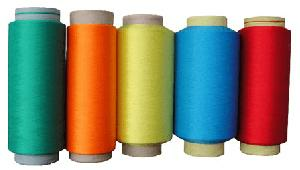 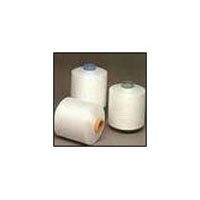 We offer spun polyester dyed yarn. 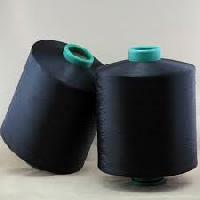 We feel enough pleasure and pride to introduce ourselves as the leading growers, dealers and exporters of polyester dyed yarn in India.